This week’s CMD Media newspapers are available online in PDF format. Print versions can be purchased at select newspaper stands, convenience stores, supermarkets and delis in Clark, Elizabeth, Linden, Rahway and South Amboy. 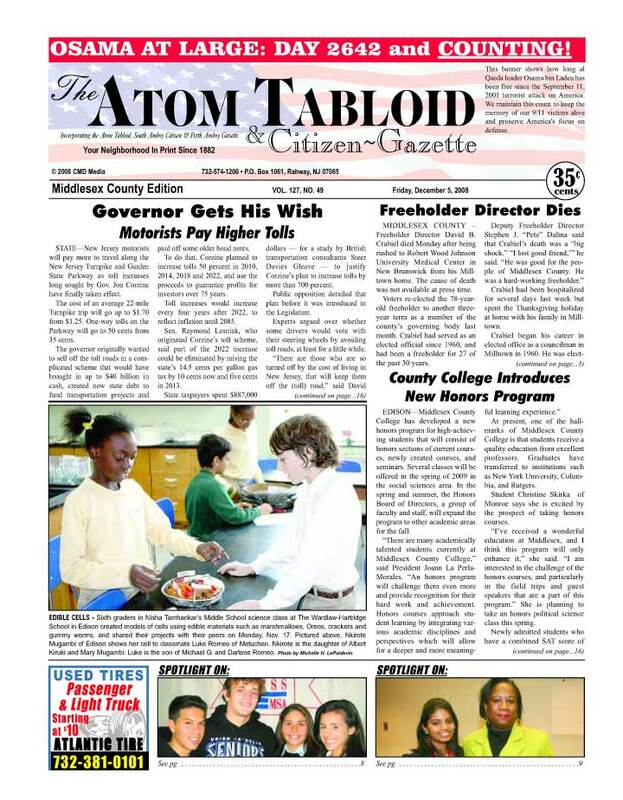 To subscribe, call 732-574-1200, or print out and mail in a subscription form.